Apple has finally unveiled its fifth generation handset following months of rumors and anticipation. 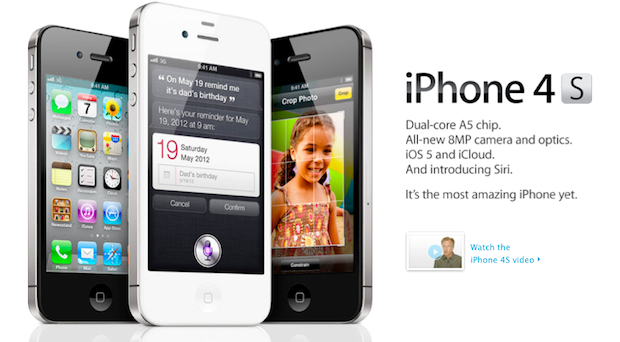 The Apple iPhone 4S, which will feature a form factor similar to the iPhone 4, will make its debut on October 14th. The United States, Australia, Canada, France, Germany, Japan, and the UK will be the first round of countries to earn access to the 4S, while another 22 countries across Europe will have it by October 28. Most countries should be able to get their hands on the device by December. The newest handset will add multiple hardware and software improvements, including a dual core A5 processor similar to the one found in the iPad 2. Apple claims the next generation phone will be capable of running up to 7 times faster than the previous iPhone. The improved device should provide users with ample horsepower to run apps, surf the web, and compose documents. Like the iPhone 4, the 4S offers a 3.5 inch Retina Display. While some enthusiasts were hoping for a larger screen, Apple’s retina technology is still top dog when it comes to text, photos, and other media. As expected, there is no 4G connectivity to be found. As far as battery life goes, the iPhone 4S is expected to support 8 hours of talk time and 10 hours of video viewing, which is slightly more than what the iPhone 4 is capable of. Other hardware improvements include an 8MP camera (also as expected) that supports 1080p video recording and image stabilization. 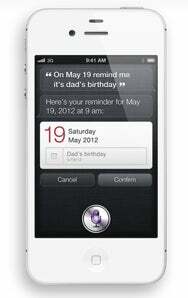 Beyond expected hardware improvements, the iPhone 4S will launch with iOS 5, which adds an improved browser, deep twitter integration, and a revamped notification system.